The Tanpopo mission is an orbital panspermia hypothesis and the possibility of natural interplanetary transport of life and its precursors. The experiment, developed by Japanese scientists, started in May 2015 by utilizing the Exposed Facility located on the exterior of Kibo, the Japanese Experimental Module of the International Space Station. The mission will collect cosmic dust by using ultra-low density silica gel (aerogel), and will analyze them after returning them to the Earth. The Principal Investigator is Akihiko Yamagishi, who heads a team of researchers from 26 universities and institutions in Japan, including JAXA. If the Tanpopo mission could detect microbes at the higher altitude of low Earth orbit (400 km), the fact would endorse the possible interplanetary migration of terrestrial life. The mission was named after dandelion (Tanpopo) because the plant's seeds evoke the image of seeds of lifeforms flying up to space. The Tanpopo mission is taking place at the Exposed Facility located on the exterior of panspermia, a hypothesis for exogenesis origin of life, and distributed by meteoroids, asteroids, comets and cosmic dust. This mission will also test if terrestrial microbes (e.g., aerosols embedding microbial colonies) may be present, even temporarily and in freeze dry form in the low Earth orbit altitudes. Three key microorganisms include Deinococcus spp. : D. radiodurans, D. aerius and D. aetherius. 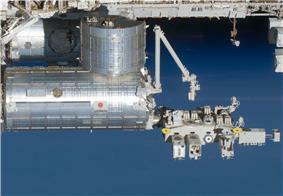 Containers holding yeast and other microbes were also placed outside the Kibo module to examine whether microbes can survive travel for a long time while being exposed to the harsh cold environment of outer space. Also, by evaluating retrieved samples of exposed terrestrial microbes and astronomical organic analogs on the exposure panels, they can investigate their survivals and alterations in the duration of interplanetary transport. 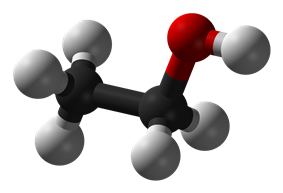 Researchers also aim to capture aminoacids— drifting in space. 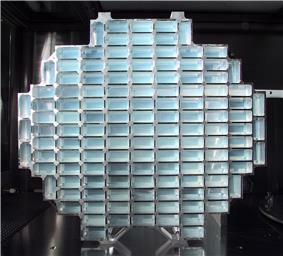 The mission will collect cosmic dusts and other particles for three years by using ultra-low density silica gel called aerogel. 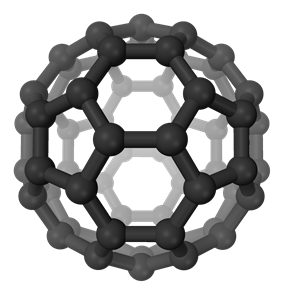 Some of these aerogels will be replaced every one or two years through 2018. The aerogels will be placed and retrieved by using the robotic arm outside Kibo, the PCR amplification of rRNA genes followed by DNA sequencing. ^ Microbe space exposure experiment at International Space Station (ISS) proposed in "Tanpopo” mission. Resarch Gate, July 2010. ^ a b c "Tanpopo Experiment for Wastrobiology Exposure and Micrometeoroid Capture Onboard the ISS-JEM Exposed Facility." (PDF) H. Yano, A. Yamagishi, H. Hashimoto1, S. Yokobori, K. Kobayashi, H. Yabuta, H. Mita, M. Tabata H., Kawai, M. Higashide, K. Okudaira, S. Sasaki, E. Imai, Y. Kawaguchi, Y. Uchibori11, S. Kodaira and the Tanpopo Project Team. 45th Lunar and Planetary Science Conference (2014).